Every year we make it a strict rule to have fun the night before Thanksgiving! (No Turkeys Allowed!) 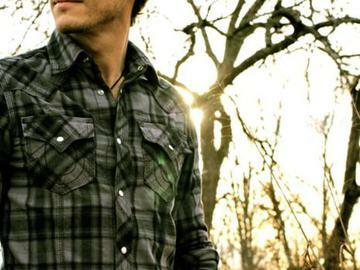 This year, Granger Smith will be keepin folks on the dance floor. Grab your family and friends and shake a leg (no, not a turkey leg) and join us for dinner and dancing! ABOUT GRANGER: With 5 top ten singles, 3 tours in Iraq and Kuwait to play for the American Soldiers and 3 shows at the White House (including two performances for the President himself), Granger Smith is well on his way to leaving a large footprint on American music. Since his early teens, the native Texan has been writing, singing and honing his craft as a musician. Granger taught himself to play the guitar at 14, using the booklet inside the case stashed in his closet which showed him where to put his fingers. Granger signed a new publishing contract with Universal South recording artist Phil Vassar in 2004 and returned home to the Lonestar State in order to ground himself as a Texas artist. A former member of the Corps of Cadets at Texas A&M, Granger re-enrolled at Texas A&M University, where he earned a bachelor's degree in between three album releases and performances across the state. In 2006 he released "Livin' Like A Lonestar," which features "Colorblind," his first single and first top 10 on the Texas Music Chart. 2011 is proving once again to be the biggest year yet. With another album in store entitled "Poets and Prisoners," we will once again take a journey with Granger with a dynamic new record from one of Texas' favorite artists. Heart touching melodies, fresh and honest lyrics to fall in love with- all brought to you through warm lead vocals, soaring guitars, funky mandolin & thematic piano highlights.